Mental health wards up and down the country are doing superb work, despite extraordinary challenges, and are creating healing, imaginative and fun opportunities for thousands of patients. 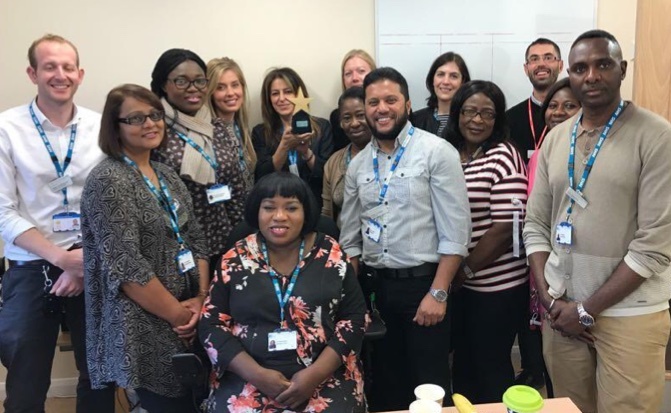 Star Wards works in happy partnership with mental health wards to improve everyone’s experiences and outcomes – patients, staff, family, friends and carers. Star Wards, which is a project of the social justice charity Bright, is a catalyst for inspiring positive change. Over the years we’ve created other resources: CAMHELEON – A scheme which aims to inspire therapeutic care in Child and Adolescent Mental health (CAMHS) inpatient wards. 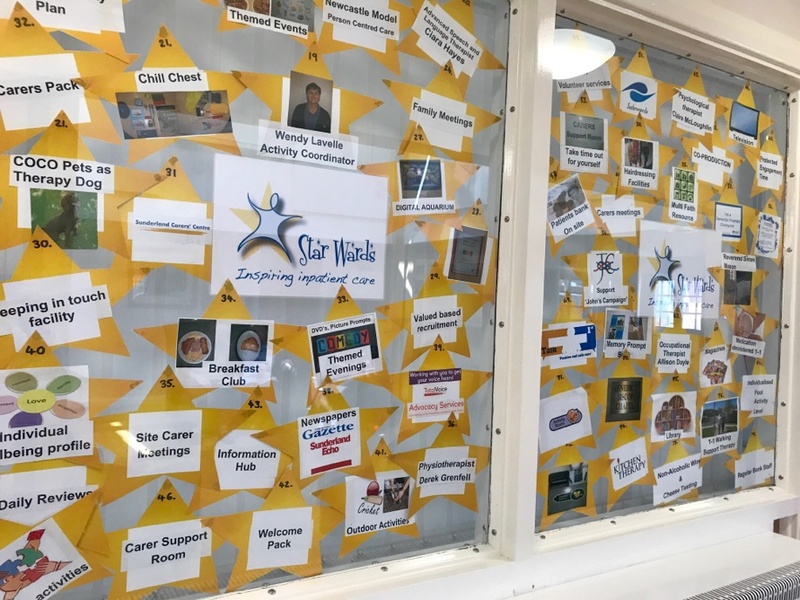 WARD STARS – An achievement scheme for mental health care assistants and other support staff. MARVELLOUS CARE – For mental health staff looking after patients with a learning disability in acute care. 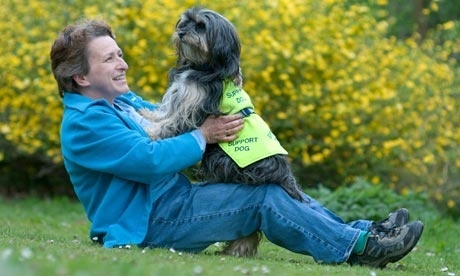 ANIMAL MAGIC – Promoting the therapeutic use of animals in mental health care. BRIEF ENCOUNTERS – A guide for none-mental health wards for coping with emotionally distressed patients. WARDIPEDIA – Our encyclopaedic resource of good practice in acute mental health care. TALKWELL – Helping communication between staff and patients. WARD BUDDY – Helping ward patients keep track of their care. It’s completely up to wards, hospitals and Trusts how they’d like to use our resources and approach. This of course fits in very well with our teenyness and budget but the main benefit is that wards feel a strong sense of ownership and commitment because they can truly create their own improvement ideas. We discover, celebrate, share, publicise and inspire excellence in inpatient care – and there is plenty of that happening! Our approach is very positive and pragmatic – based on ‘appreciative inquiry’ principles of focusing on what is working well, validating this and helping amplify the impact of positive practice. We feel very clear that the single most important factor in enabling a warmly therapeutic experience for patients is staff morale. We are delighted that, because of Star Wards, staff are finding their roles more fulfilling (“It’s what I came into nursing to do”) and friends and family are appreciating more relaxed visits and other contact with their loved ones in hospital. 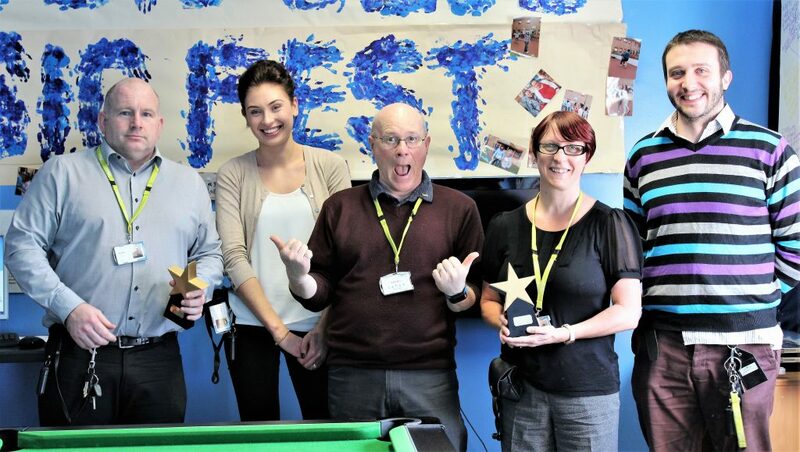 Star Wards helps wards harness staff’s amazing creativity and skills to make changes which really work for their particular circumstances and patients. The crucial factor is that we collect and share ideas rather than impose standards. This gives wards complete, freedom to use their ingenuity and wisdom to make the most of the ideas and resources. We’re constantly blown away by the quality of services we visit. Sometimes it’s huge things, like transforming a ward with low morale and high aggression into one where increased safety is both a result and illustration of the new culture of patient engagement and staff satisfaction. Or it may be just a brief, warm exchange between a patient and staff member, capturing the mutual respect and trust which characterises so much inpatient care. Our members use and adapt our resources to stimulate and structure therapeutic and enjoyable daily programmes for their patients. They come from the full range of wards, older and younger adult, rehab, learning disability, secure and specialist. 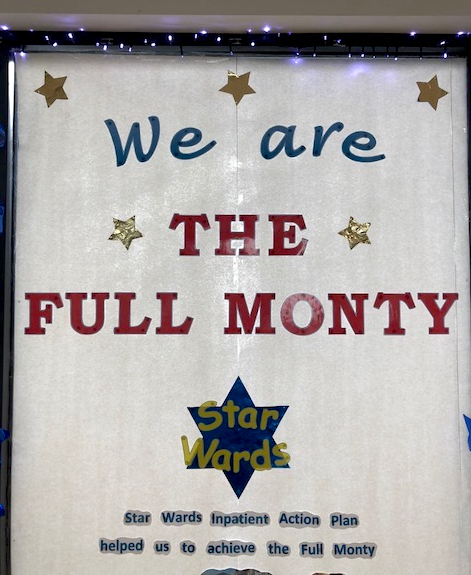 Being awarded the Full Monty Award (upon putting in place the 75 Star Wards ideas) is a fantastic accomplishment, representing exceptional expertise, commitment and caring by ward staff, but many wards benefit from Star Wards in small ways that make big differences to staff, patients and carers. Join Star Wards and you are making a commitment to great care and joining a large group of people who want to help you and learn from you. ‘Tweaking’ – suggestions require minimal changes to current staffing arrangements, at little or no cost. ‘Transforming’ – suggestions are the biggies – ideas which probably require the most investment. All ideas are useful for patients who are sectioned and unable to leave the ward. For those who can leave the ward, many of the suggestions are adaptable for use in the community, which is a great way for the ward to stay connected with life outside hospital. For example, some wards use local gym facilities and even have 5 a side football at the local football club. Others have taken on an allotment for patients who’d like to do some gardening. Blurring the boundaries between the hospital and the outside community is brilliant, not just in terms of the quality of those experiences, but also challenging the stigma of being a mental health patient. Our former CEO Marion Janner OBE set up Star Wards following her time as a detained inpatient. She was struck by how wonderful the staff were and how hampered they were by the impoverished environment. Since then, Bright (the charity which runs Star Wards) has co-created with wards lots of lovely, practical, attractive publications and schemes which are helping thousands of patients to have more therapeutic and enjoyable admissions. 650 wards are members (about 80% of UK mental health wards). Membership is free for all NHS wards, thanks to generous support from charitable trusts.